You may not realize it, but gyroscopes can be found in pretty much any modern electronic gadget. With applications ranging from cell phones to vehicles, drones and wearables, the humble gyroscope sensor is also one of the most versatile. These days, the gyroscopes that you can find in your phone will likely be MEMS-based. 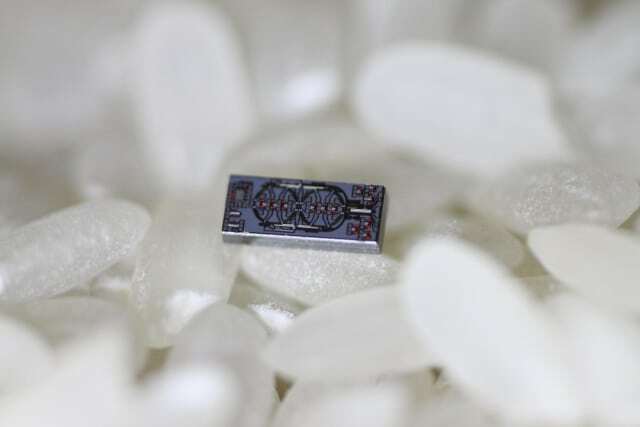 Now however, researchers from Caltech have successfully built another type of gyroscope that is 500 times smaller and 30 times more sensitive than the MEMS version. Their research was published in Nature this month. Traditional MEMS-based gyroscopes work by measuring the forces of two identical masses that are oscillating and moving in opposite directions. By contrast, the optical gyroscope that the Caltech team developed employs lasers rather than MEMS to achieve the same result. Although optical gyroscopes are effective in theory, in practice they have been hard to miniaturize, as the noise-to-signal ratio is inversely proportional to the optical gyroscope’s size. To understand the optical gyroscope, one must first begin with the Sagnac Effect. Discovered by French physicist Georges Sagnac, the effect uses Einstein’s principle of general relativity to detect changes in angular velocity. Essentially, a laser is broken into two beams, and each beam is shot along one side of a disk. Because light travels at constant speed, the two beams reach the end of the disk at the same time so long as the disk is not in motion. If the disk is spinning, the laser beams will arrive at the end-point out of sync. This difference in synchronization is what the gyroscope measures, as the end-point beam has minute changes in its properties that can reveal, for instance, whether or not you’ve just dropped your smartphone. Unfortunately, the Sagnac Effect is often prohibitively sensitive to noise in the signal. Everything from small thermal fluctuations, to vibrations from nearby construction or loud noises can disrupt the beams as they travel. To make matters worse, the smaller the gyroscope is, the more easily it is disrupted. The smallest high-performance optical gyroscopes today are around the size of a golf ball—not very suited to being stuffed inside a smart watch. In order to bypass these problems, the Caltech team came up with the solution of lengthening the path that the laser beams must travel, allowing them to employ small disks instead of large ones, while still getting the same level of accuracy. Ali Hajimiri, Bren Professor of Electrical Engineering and Medical Engineering in the Division of Engineering and Applied Science, and the leader of the study, calls the technique "reciprocal sensitivity enhancement." In this case, "reciprocal" means that it affects both beams of the light inside the gyroscope in the same way. The technique works by using two disks instead of one, and then switching the direction that the light is travelling back and forth. This extended the path that the beams are travelling to several thousand rotations instead of one. When the path of the beams is longer, the amount of noise is more even across the two beams, thereby smoothing out imperfections from outside interference, and resulting in an accurate measurement when the beams meet each other at the end. Although the research has been garnering some attention, it is worth remembering that it takes a long time for these kinds of innovations to get from the lab to the factories. The research has shown that building optical gyroscopes of this size is possible, but converting the results into a commercial product is a process that can take many years.